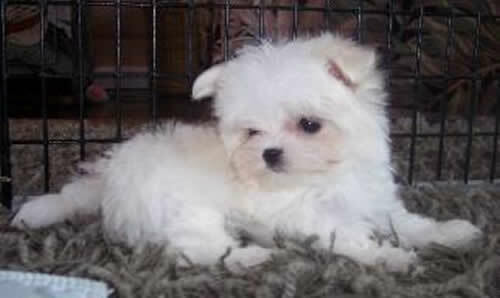 Maltese Breeders & Puppies For Sale If your a Maltese breeder and have Maltese puppies for sale, send us your details for free and we will add to our Maltese Breeders page. Maltese Rescue Center Visit the Maltese rescue centers if your looking to rescue a Maltese, as well as learn more about the breed or just support the rescue centers for there hard work. Origin / History Originated in Malta. Appearance Flat headed, with fairly short muzzle and triangular pendulous ears. Strong boned body and curled tail. Colours White. Sometimes white with pale lemon markings. Height and Weight Male and females are same weight and height range. 20 - 25 cm in height. 2 -3 Kg in weight. Common Health Problems Considered an alround healthy breed. If any problems, they are likely to be dislocating kneecaps, teeth and gum weakness, and eye infections,. Living Conditions Will do well a town apartment or country lifestyle. There priority is to be with there owner. Exercise Requirements Will do fine on just a small walk a day, although will enjoy longer if you can spare the time. Training Requirements Does well at obedience training. 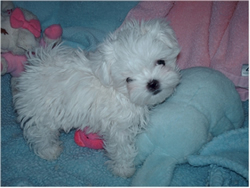 Grooming The Maltese needs to be groomed daily to keep the coat clean and free of tangles. The long hair will pick up plenty of dirt and require daily attention to keep clean after walks and outings. Owners normally tie back the hair on the head to keep out of the eyes. 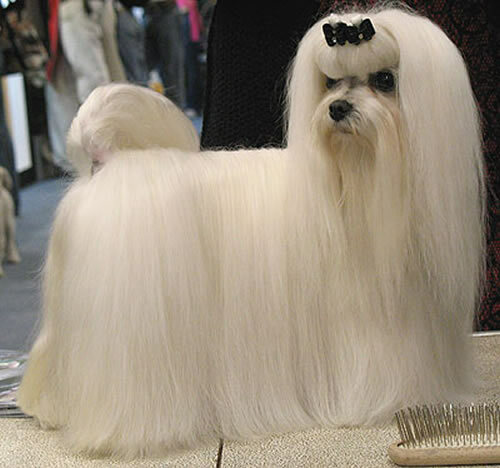 Some owners have there Maltese clipped, which will make it easier to clean and maintain but will still need a daily brush. CompleteDogsGuide Comment An ideal companion dog, but you must enjoy the daily task of grooming. 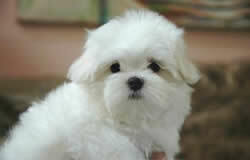 More Maltese Information: Check out our Maltese Clubs and links to more informative websites dedicated to the breed.